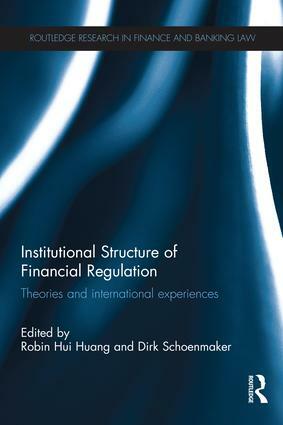 In light of on-going global financial crises, the institutional structure of financial regulation is currently a subject of significant academic and practical interest. The financial crisis has called into question the adequacy of financial regulation at the national and supranational levels, and has instigated financial regulatory reforms in major markets overseas. This has included the enactment of the Dodd-Frank Act in the US, and the programme to split the Financial Services Authority in the UK. Robin Hui Huang is at the Faculty of Law, Chinese University of Hong Kong.